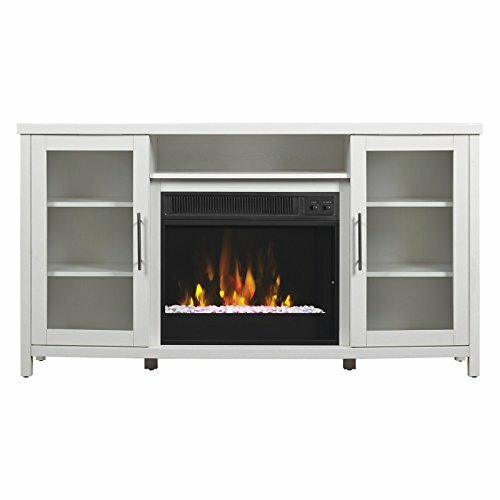 Warms an area up to 400 sq. 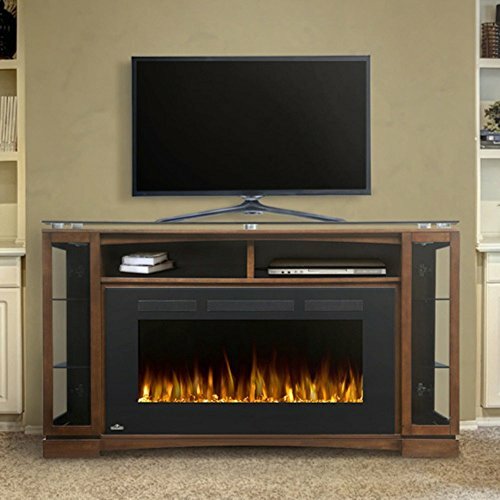 ft.
Get cozy even as watching your favorite programs with the Classic Flame Rossville Electric Fireplace Media Console. 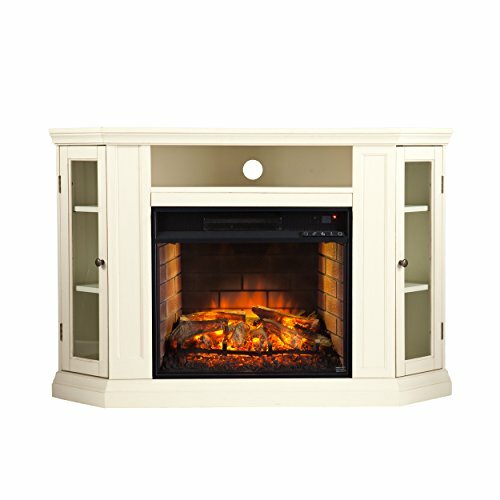 The fireside warms as much as 400 square feet without emitting any hazardous byproducts. The adjustable shelves and CMS Cable Management System is helping you customize your cupboard space even as keeping your cords organized. This TV stands fits flat screen TVs as much as 65 inches. 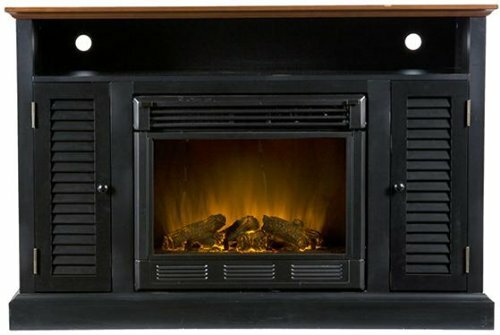 Use the Rossville without or with heat and it comes complete with an electrical fireplace insert, realistic log set, and ember bed. 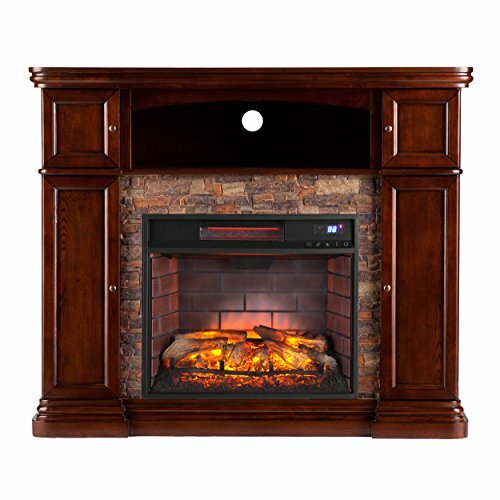 Don’t worry about your kids and pets getting burned, The fireside stays cool to touch. Adjustable shelves, storage, touch-up pen. Warms a space as much as 400 sq. ft.. 4600 BTUs. White finish. Dimensions: 54W x 15.5D x 28H in.. Energy-saving LED technology. Fits as much as 65-in. flat screen TV. 18 in. 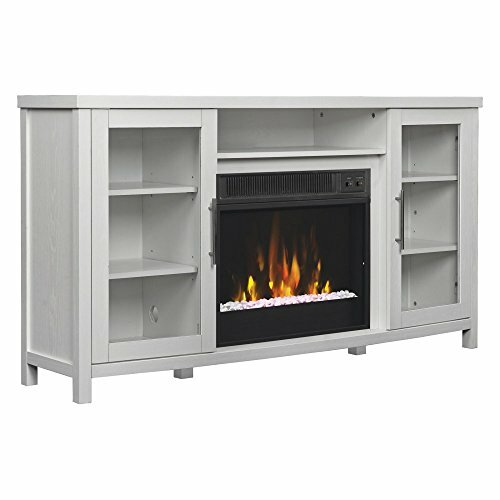 electric fireplace. Warms a space as much as 400 sq. 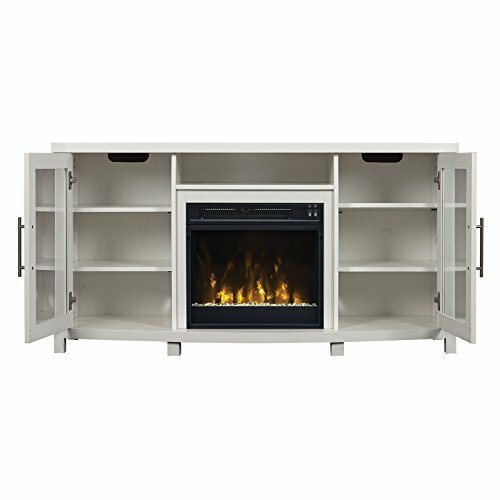 ft.
Dimensions: 54W x 15.5D x 28H in.